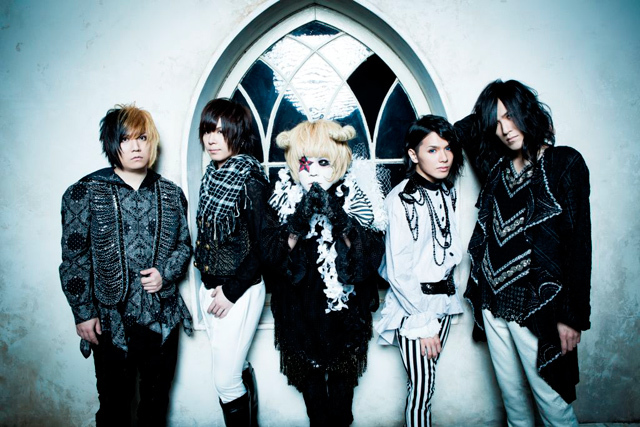 NoGoD is a heavy metal with visual kei style band formed in 2005 in Tokyo, Japan. The band consist of Danchou (Vocals), Kyrie (Guitar), Shinno (Guitar), Karin (Bass) and K (Drums). Since 2010, they have a major-contract onKING RECORDS. During their Indies-era on ART POP ENTERTAINMENT, they released 2 studio-albums, 2 mini-albums and 10 singles. Their major debut on KING RECORDS was their single “Kakusei” released on June 9th, 2010. During the summer 2010, NoGoD was signed in Europe by CLJ Records, their single Kakusei was released all over Europe as an Digital Release. On August 4th, 2010 NoGoD released their 1st major studio-album “Kakera” . The album was released in Europe on August 20th by CLJ Records. On August 1st, the band kicked off a one-man tour to promote their album in Taiwan; they followed up the show with other performances throughout Tokyo. On January 26, 2011 NoGoD was featured in “Crush! -90’s V-Rock Best Hit Cover Songs-” and covered Siam Shade’s song (“1/3 no Junjou na Kanjou”.